This is a page where we will announce new CHampions of the MajestiCrest WebRing family! Below each picture, there will be a bit of information about the dog as well as (possibly!) an e-mail address and/or a URL where you can visit and congratulate these wonderful new CHamps! This is a pic of Aeris. 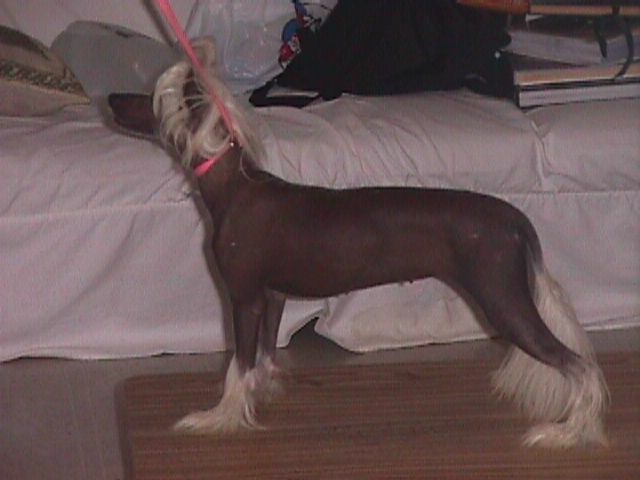 CIKC CH Pyramid First Queen Regnant. 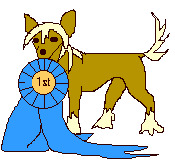 Aeris completed her CHampionship with THREE BIS wins! 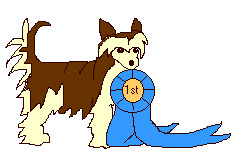 Aeris is the first Chinese Crested in the Cayman Islands to have her CHampionship! Aeris is loved by Majestic and her family! CONGRATULATIONS, Aeris! Please join me in congratulating CH Follow Your Heart N'CO! 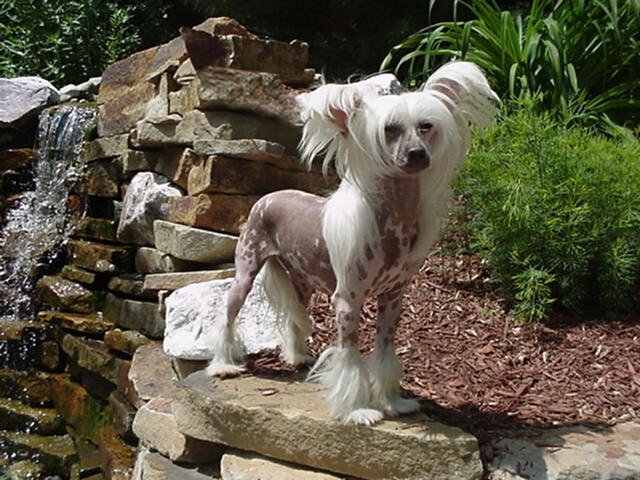 'Cutie Pie' won her CHampionship recently at the Chinese Crested Nationals in Biloxi! She did VERY well there! CONGRATULATIONS, Cutie Pie! Please join me in Congratulating CH It's All or Nothing N'CO for winning her CHampionship this weekend! (7-1-01) For more information on this lovely girl, please click on the 'Visit Allie's Home' link above! CONGRATULATIONS, Allie! **NOTE! 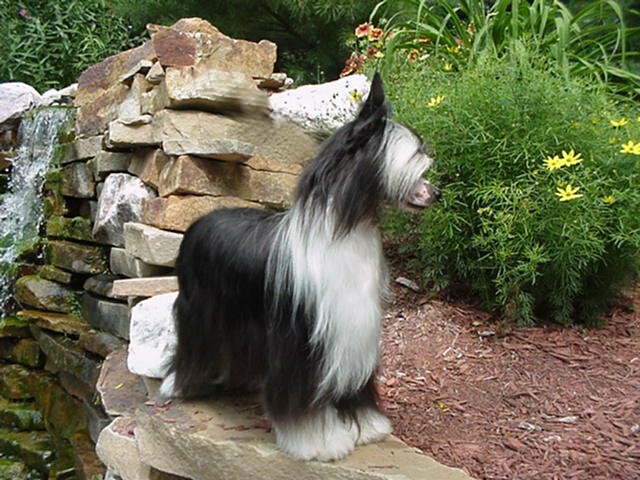 Both Cutie Pie and Allie are owned and handled by Pam of N'CO Chinese Cresteds! These pics come compliments of her! Thanks, Pam! CONGRATULATIONS or your girls wins! They are LOVELY! To enter a pic of your new CHamp, please e-mail it to my by clicking on the MAILME link below! Please include any info you want to be included in the description! The pics will remain on our page for TWO months, unless otherwise stated by the WebMaster. We PREFER the win pics, but a nice pic of your loved one will do, as well! Congrats to all the new CHamps! A special thanks to PupLover's Graphics for the graphics on this page!